Right to Survive Initiative Filled in Denver Day After State Right to Rest Hearing!!! 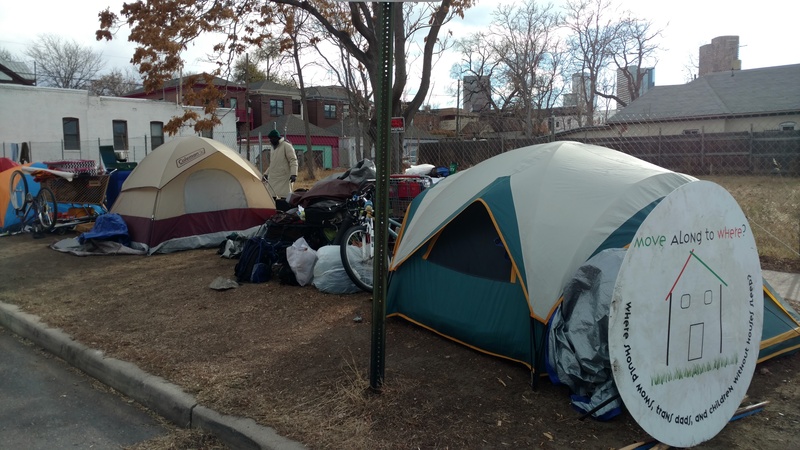 On March 15th, the day after the Right to Rest Act was heard and killed in the State Capitol, Denver Homeless Out Loud filled a ballot initiative in the City of Denver called The Denver Right to Survive Initiative. Just like the State level bill, the Right to Survive Initiative would protect people’s basic human right to sleep, sit, use cover, sleep in a vehicle, and share food in public space. This initiative would overturn Denver’s cruel and inhumane “Urban Camping Ban” [which we re-named survival ban] which was passed by Denver City Council in 2012 and has criminalized and terrorized people experiencing homelessness in Denver ever since. We know the fight for our rights is long and hard. No struggle for the rights of the oppressed has come easy – not that of black people, immigrants, people with disabilities, LGBTQ folks, or any oppressed community. The Right to Survive Initiative is part of the fight for all oppressed communities who have been forced out of their homes and into the streets to survive. This Initiative comes as housing prices are at an all time high in Denver and government assistance for low-income housing has massively decreased. We cannot afford homes yet are criminalized for being homeless. The Right to Survive Initiative will be gathering signatures over the next few months to get the initiative on the May 2019 ballot for a vote of the people. When the government’s concern is making profit on market rate housing developments and turning public spaces into private spaces directed by the wishes of the wealthy, we know we must turn to the people of Denver to defend our human right to survive and make public space for the public. We will continue to fight for our rights, our dignity, and our survival in the legislature, in the courts, on the streets, and now, on the ballot.